Associated Press: The hundreds of restaurants and suppliers that sell halal food products in New Jersey get an annual visit from state inspectors to ensure they’re following the rules to do just that. 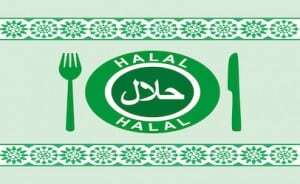 New Jersey adopted the Halal Food Consumer Protection Act in 2000, requiring halal food sellers to disclose information, including whether they sell both halal and non-halal food. It put out a reminder to businesses and consumers last week about the law, which includes fines as high as $10,000 for first-time offenders. A few hours before the start of the Muslim holy month of Ramadan this week, Ediz Laypan, an investigator with the Division of Consumer Affairs’ Office of Consumer Protection, walked into a restaurant in Princeton to see for himself that the establishment was living up to its promises. While the state purposefully doesn’t draw the line between what food meets religious halal standards and what doesn’t, it does hold businesses to specific guidelines. At the Efes Mediterranean Grill, Laypan informed workers he was there to do a halal inspection. The restaurant had its halal standards form displayed prominently on a wall next to a cash register surrounded by decorative plates. Laypan confirmed the form was the same as the one the restaurant submitted to the state. Laypan then pulled invoices on the company’s recent meat purchases, confirming that the items they purchased were listed as halal. He also checked the kitchen and refrigerated storage areas to make sure there was no evidence of non-halal food or alcohol. Laypan also inspects the state’s halal meat suppliers and slaughterhouses, which have a different set of guidelines than restaurants. The law allows the state to fine businesses that violate the state’s rules up to $10,000 for a first offense. Steve Lee, the director of the Division of Consumer Affairs, said the department has made education and outreach a priority and has not issued any fines since the law was first passed in 2000.